For more information, visit http://www.nycgo.com/broadwayweek. 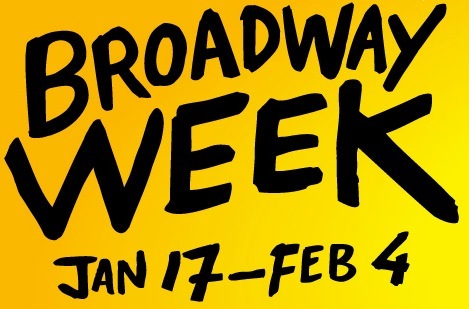 While on the site, make sure to enter the Official Broadway Week sweepstakes from January 4-February 4 for a chance to win two Broadway tickets per month for an entire year and two domestic round-trip tickets. And, when you’re done rockin’ to Rock of Ages and realize there’s no place like home (or NYC) after seeing Wicked, remember there is even more in store for you away from the Great White Way. This entry was posted on Wednesday, January 4th, 2012 at 5:17 pm	and is filed under Stuff to Do. You can follow any responses to this entry through the RSS 2.0 feed. You can leave a response, or trackback from your own site.